First shown at the CES 2014 last month in Vegas, ARCHOS has introduced their new SmartWatches line of products. Their higher-end model features an E Ink display which allows better battery life and a very nice looking curved screen. It follows ARCHOS vision of watches should be simple devices acting as an extension of the smartphone / tablet and should be used mainly for media control and notifications (SMS, emails, social networks). Support is expected for Android and iOS with companion applications available on both app stores. E Ink also known as electrophoretic ink or electronic ink is a technology was initially developed at Xerox's Palo Alto Research Center in the 1970s. It was then refined by research at the MIT Media Lab around 1996, which came to a patent and E Ink Corporation was funded the following year. E Ink is actually a nice mix of chemistry, physics and electronics where ambient light from the environment is reflected from the surface of the display back to the reader's eyes (reflective displays). 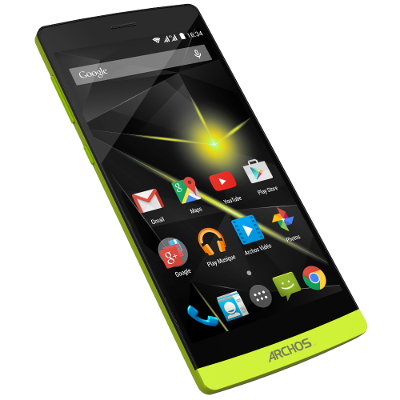 As usual with ARCHOS, pricing and availability data should be taken with a grain of salt. 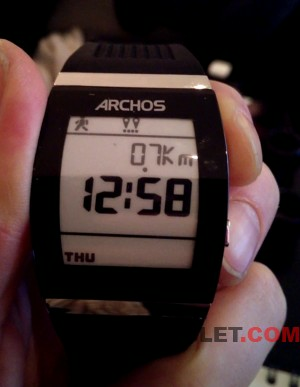 In fact, during CES 2014 interviews, the same ARCHOS representative person announced the E Ink SmartWatch to retail by this summer for around $200 later mentioned pricing around $129 in another interview. During ARCHOS presentation last week in Paris, pricing is mentioned to be in the €130 to €150 range.